Lt Brown with Blue check and Navy Melton wool. 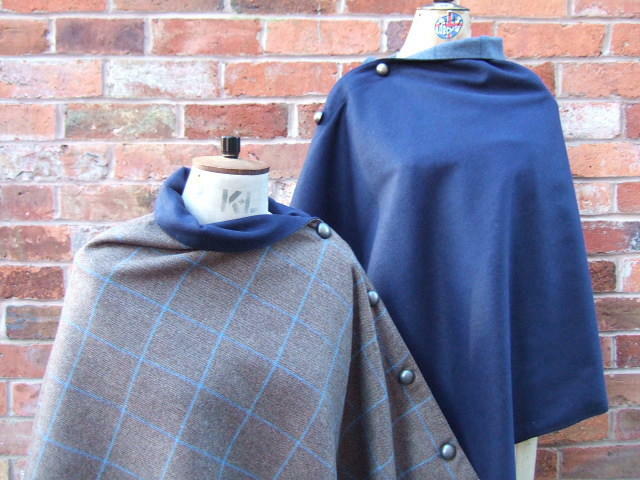 Fully reversible double sided tweed throw wrap in finest British made Tweed. Individually hand cut reversible throw/wrap. 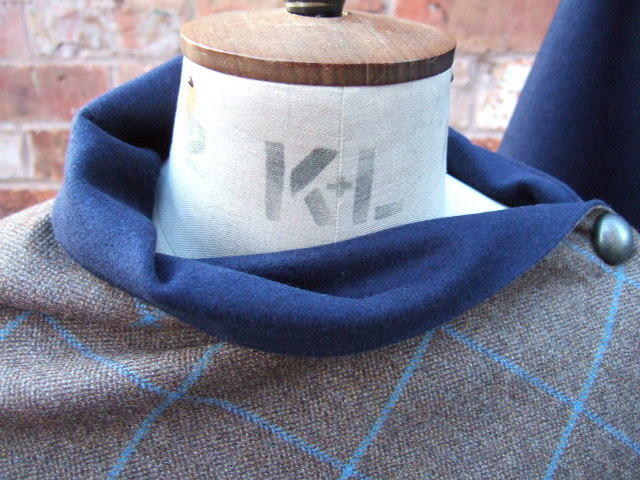 Manufactured from the finest British made tweed. Finished with Antique metal buttons along the reversible seam detail. With a full tweed on both sides makes this throw not only very warm! but very good at keeping you dry!. With a number of options on how you can wear it. Instant elegance to any outfit.